Caleb Hammond and I created an installation inspired by poet Rainer Maria Rilke’s Duino Elegies. We choreographed a professional hip-hop dance group to dance with glass objects we made. Using 2 simple glass objects, a hand blown Veronese vase and a sheet of plate glass as filters, we projected the video of the dancers. 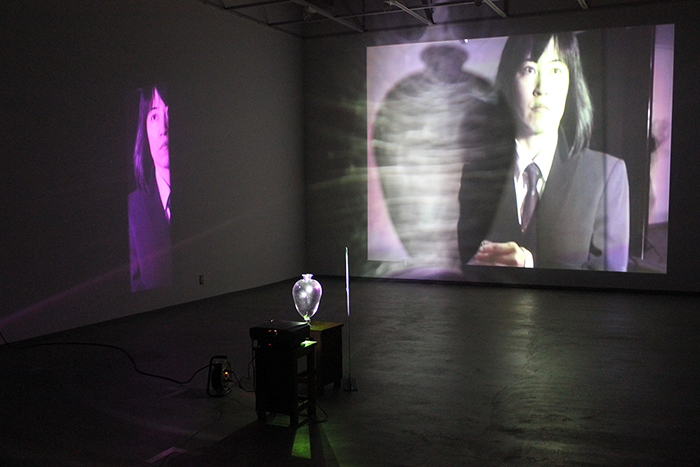 The glass acted as filters and secondary projectors, sending slices of images throughout the gallery. The poems deal with the blurred boundary between life and death.